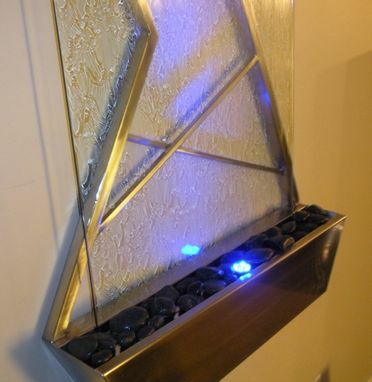 This wall fountain is a truly original, one of a kind work of art. 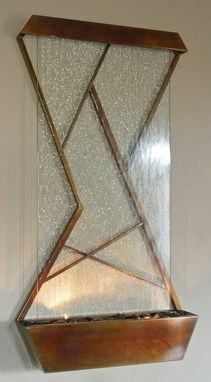 This water feature casts gorgeous dancing water shadows on the wall behind the glass, truly bringing your room to life. This custom wall fountain features clear tempered safety glass face, precision welded stainless steel construction, low voltage adjustable pump and submersible halogen or LED lights and your choice of black or multi color polished river rocks.